Kerrick Bachert, PSC is a full-service Kentucky law firm founded on strength in litigation and advocacy, and focused on our clients' best interests. Kerrick Bachert Welcomes Jonah Hanes! 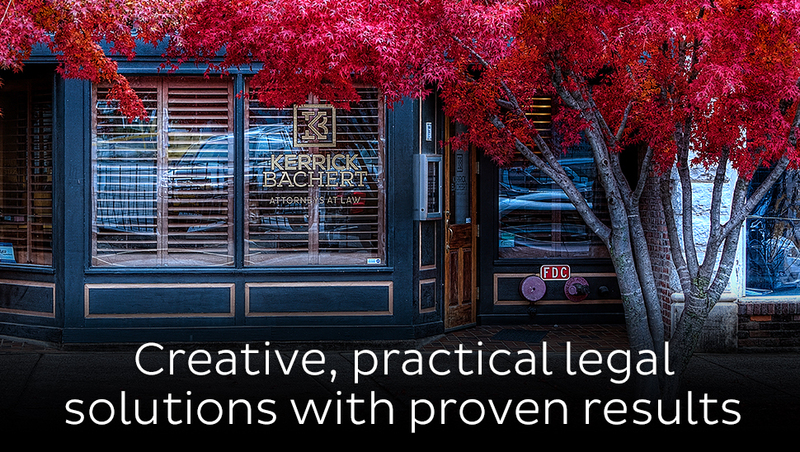 Kerrick Bachert, PSC is a full-service Bowling Green, KY law firm founded on strength in litigation and advocacy, and focused on our clients' best interests. We routinely represent clients in state and federal courts throughout Kentucky and offer a wide range of legal services to meet your needs. With law offices in Bowling Green and Elizabethtown, our attorneys have over 150 years of combined experience and have achieved an AV rating from Martindale-Hubbell as well as been named Super Lawyers, The Best Lawyers in America, Super Lawyers of Kentucky and ATLA Top 100 Trial Lawyers. Kerrick Bachert attorneys monitor recent legal developments and business trends, helping their clients seek new opportunities and minimize risk. Superior client service is what KB strives for—providing creative, practical solutions and proven results.